b) Sub-area of Specialization Design of Foundations for Difficult Terrains; Slope Stability Analysis & Design of Control Measures; Geo-Mechanical Modelling; Ground Improvement: Granular Anchor Piles. Neeraj, Pandit K., and Sarkar S. “Stability Assessment of Cut Slopes along Shivpuri to Kaudiyala Road of NH 58 in Uttarakhand Himalayas“, Indian Geotechnical Conference 2018, IISC Bangalore, December 13-15, 2018. Kumar P., Pandit K., and Uniyal P. “Lateral Load Behaviour of a Single Vertical or Batter Pile”, CoNMiG-2017 in the honor of Prof M N Viladkar, IIT Roorkee, March 03-04, 2017. Pandit Koushik and Singh Mahendra “Predicting Safety of Underground Coal Pillars by Artificial Neural Network Techniques”, Sixth Indian Rock Conference, IndoRock 2016, IIT Bombay, Mumbai, June 17-18, 2016. Singh Mahendra, Pandit Koushik, and Shaunik Divya “Some Aspects of Geotechnical Invetsigations at Subree Landslide, Mussoorie”, 50th Indian Geotechnical Conference 2015, College of Engineering, Pune, December 17-19, 2015. Mudliar R., Singh M., and Pandit K. “Deterministic and Probabilistic Stability Analysis of a Rock Slope in Garhwal Himalayas”, Golden Jubilee Conference of the IGS Bangalore Chapter, Geo-Innovations, 30-31 October, 2014. Pandit K., Chourasia A., and Bhattacharyya S.K. “Algorithm Developed by Numerical Approach for Improving Underground Coal Recovery”, Indian Geotechnical Conference 2013, IIT Roorkee, December 22-24, 2013. Pandit K., Chourasia A., and Bhattacharyya S.K. “Depillaring of Coal and Mine Roof Supports”, Proceedings of 28th National Convention of Civil Engineers & National Seminar on Role of Infrastructure for Sustainable Development, IEI Roorkee, October 12-14, 2012. Technical report (2018) on “Geotechnical Investigation and Drainage Measures for Tehsil Building at Champawat, Uttarakhand” for Uttarakhand Tourism Development Board, Government of Uttarakhand. Patent on “Steel Jacketing Technique For Strengthening Coal Pillars To Improve Underground Coal Recovery” by Dr. Ajay Chourasia, Shri Koushik Pandit and Shri Jalaj Parashar, filed in 2018. Assistant Professor (2017-present) at CSIR – CBRI for the discipline of Engineering Sciences in the Academy of Scientific and Innovative Research (AcSIR), New Delhi (http://acsir.res.in/facultylist/). Courses taught: Fundamentals of Soil Mechanics (ENG-CBRI-1-1148); Advanced Foundation Engineering (ENG-CBRI-1-1103). Industrial training experience in a water treatment plant and a (G+13) high-rise building construction. 1. Executive Committee Member of IGS Roorkee Local Chapter for the year 2016-18. Delivered lecture on “Numerical Methods for Slope Stability Analysis” at CSIR – CBRI on 12th March, 2019 for training of Officers of Geological Survey of India (GSI) and participants from other organizations like DMMC, Dehradun; THDC etc. as part of a training program on “Geo-technical and Engineering Geology” at Dehradun from 6th to 13th March, 2019, organized by Geological Survey of India Training Institute (GSITI). Delivered lecture on “Landslide Hazards and Slope Stability Problems in the Himalayas” in the 2-days National Workshop on “Landslide Mitigation and Detailed Project Report (DPR) Preparation” sponsored by National Disaster Mitigation Authority (NDMA), New Delhi and held at CSIR – CBRI, Roorkee during 17th-18th January, 2019. Delivered presentation on “Stability Assessment of Road Cut Slopes Along a National Highway in the Indian Himalayas” at Institute of Mountain Hazards and Environment (IMHE), Chengdu, China on 30th November, 2018. Delivered invited lecture classes for Engineers of Druk Green Power Corporation Limited, Bhutan under the International Training Programme on “Planning and design of underground structures of hydropower project”, held at AHEC Department, IIT Roorkee, India during February 21st-28th, 2017. M.Tech Dissertation thesis (2018) on “Stability Assessment of Road Cut Slopes along Shivpuri – Kaudiyala Route (NH – 58), Uttarakhand Himalayas” by Shri Neeraj Dahiya under the supervision of Dr. Shantanu Sarkar, Shri Koushik Pandit and Dr. Satish Kumar for Department of Geology, Kurukshetra University, Kurukshetra, Haryana. B.Tech Internship Project report (2018) on “Design and Analysis of a Typical G+3 Building on a Hilly Terrain: With Special Reference to Foundations” by Mohd. 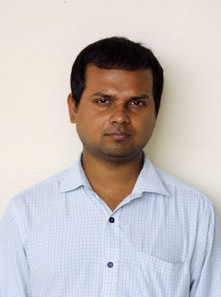 Ashraf Khan, PSG Institute of Technology and Applied Research, Tamil Nadu.